New Society Publishers - New Society Publishe, 9780865716148, 273pp. Protecting present and future generations in times of crisis. Climate change, peak oil and economic instability aren't just future social problems-they jeopardize our homes and families right now. Our once-abundant food supply is being threatened by toxic chemical agriculture, rising food prices and crop shortages brought on by climate change. Funding for education and health care is strained to the limit, and safe and affordable housing is disappearing. Sharon Astyk is a former academic who is a writer, subsistence farmer, parent, activist and prolific blogger (sharonastyk.com and henandharvest.com). She farms in upstate New York with her husband and four children, raises livestock, and grows and preserves vegetables. 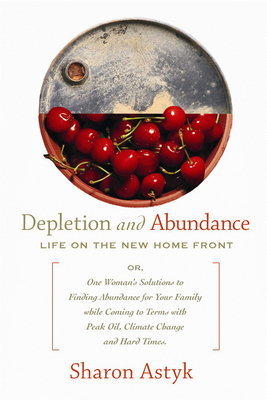 She is the author of Depletion and Abundance, and co-author of A Nation of Farmers.